Carrot, scientific name Daucus carota, is a root vegetable that is normally orange in color, though red, white, yellow and purple carrot varieties also exist. Carrots growing in the ground; photograph by Dag Endresen. They have a fresh crisp texture and come in maincrop, early, long root and short root varieties. Carrots are biennial. Carrot plants grow from seed and store food in their roots (which is the main crop) in their first year. They produce flowers during the second year, and the root will then wither in the soil. Carrots are a good source of vitamin A, calcium and multiple trace elements. They are also a good source of dietary fiber, and this is one of the reasons that carrots are often added to vegetable salads by people wanting to shed some weight. The maincrop varieties can be stored for up to three months. This means that they are available at the market all year round. Carrots that are harvested as early as June are thought to be the tastiest ones, and this is when they are usually at their most expensive in the markets. Most varieties of early carrots normally take around 12 weeks to mature; wheras the maincrop carrot varieties can be harvested after 16 weeks. Although the maincrop carrots usually take up the most space in the garden, they tend to be the best option for those who want to harvest carrots with long-term storage in mind. Purple carrots photograph by Sean Fine. For best carrot growing results, it is important that proper soil preparation is conducted. 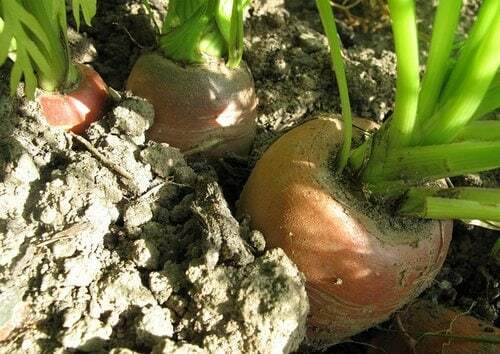 The success of growing root vegetables is dependent on the kind of soil that they grow in, so it is advisable to choose the right location when planting root crops. Choose a spot that has loose, sandy loam soil that is well drained when growing carrots. 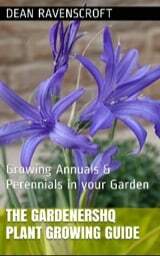 Start by digging the soil in early spring or late winter and remove any stones, and make the soil as fine as possible, with a crumbly texture. For those who do not have the right kind of soil for carrots or parsnips, preparing a huge container or seed box for sowing will do the trick. When digging over the soil, do not add manure as this will make the soil too rich for the seeds. A week before the carrot seeds are sown, rake in a light dressing of general fertilizer. Small and fine plant materials can be used for soil enrichment. Carrots mature slower in heavy soils, and this leads to them becoming rough and unattractive. Carrots can be sown as soon as the soil can be worked in the spring. The seeds of carrots are genuinely small and it is advisable for them to be sown as thinly as possible as this will help to reduce unnecessary thinning, and reduce the potential risk from pests. Seeds should be sown thinly on a dry, sunny day in shallow drills of around an inch (2–3cm) in depth; then, cover the seeds. If you are having difficulty in sowing carrots thinly, then first mix the seeds with a handful of sharp sand, and sow the seed and sand mix together. The sand not only allows for thinner sowing but also promotes soil drainage. Early sowings of carrots in mid-March and April should be protected from frost using a cloche of fleece in colder locations. When seeds have germinated and have shown their first rough leaves, thin the seedlings to two inches (5 cm). Parsnips are grown in a similar same way to carrots, but since they are larger, it is best for them to be thinned to six inches (15 cm). Carrots need a lot of attention especially during their growth period, and should be kept well watered to avoid the development of course, woody roots. Carrots should be kept free from any weeds, especially when they are small or still undergoing germination. Weeds compete for soil moisture and nutrients and this can lead to losses in organic carrot yield. The soil around the plants should be slightly scratched in order to prevent crusting. Water the plants as often as needed. Place around two tablespoons of fertilizer every ten feet beside the plants once the tops reach four inches (10 cm) in height. When the tops are already six to eight inches high (15–20 cm), fertilize them again; especially if the tops become pale. 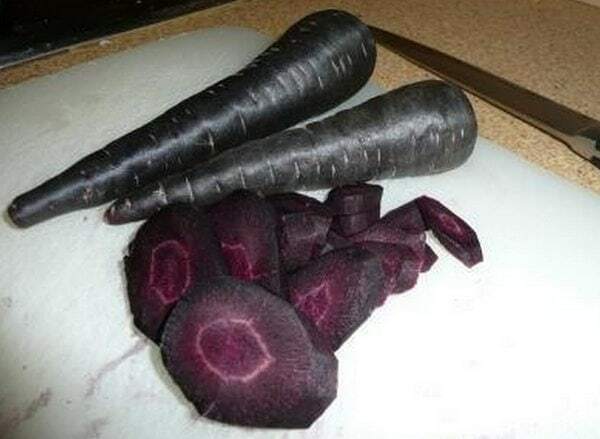 Carrots are often troubled by disease. When lead spots appear on plants, use an approved fungicide to dust them off. Remove plants from the garden if they become stunted and yellow, or when the roots have knots on them as the soil may have nematodes. Use Diazinon when worms such as cutworm or wireworm occur. Carrots are usually ready for harvest 70 to 80 days after planting. Pull the crop when the roots are about one and half inches (4–5 cm) in diameter, or when you feel that they have reached a size big enough to eat; if you have planted carrots late in the season be sure to harvest them by October as leaving harvesting any later than this can ruin the crop. Use a garden spade to loosen the soil around the carrot in order to avoid breaking the carrots when pulling them out. Ideally, carrots should be harvested in the evening as this reduces attacks from carrot fly. Roots can be prevented from wilting after they have been harvested by removing the carrot tops (and placing them in the compost pile if you have one). Wash carrots properly to remove any excess soil. Wrap them in a newspaper, and store at the bottom of the refrigerator. Alternatively, trim the carrots and store in a box between layers of sand, and keep the box in a cool dark place.